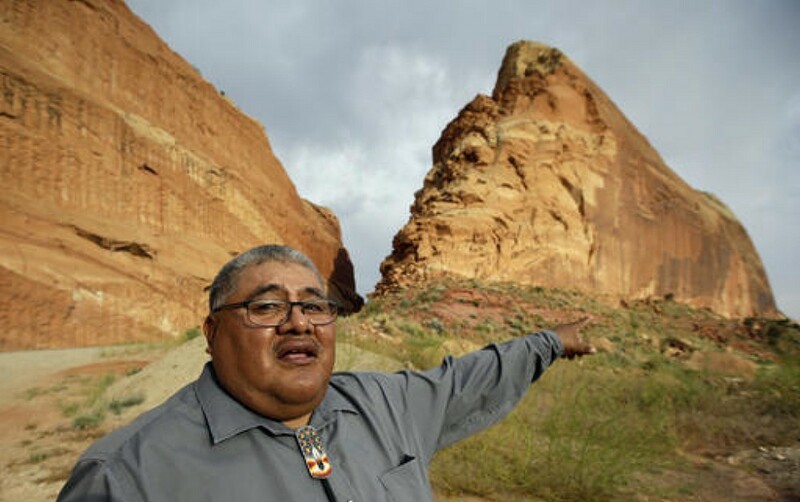 UTAH – Despite the efforts by Utah’s top Republicans to keep it from happening, President Barack Obama made the Bear Ears National Monument a reality Wednesday afternoon. To say the announcement has sparked displeasure among the monument’s opponents would be an understatement. Along with Bears Ears, the president also designated the Gold Butte National Monument in southern Nevada. The new Bears Ears Monument covers 1.35 million acres in southeastern Utah. It is an area held sacred by Native Americans and contains thousands of cultural and archeological sites of importance, according to the Department of the Interior. 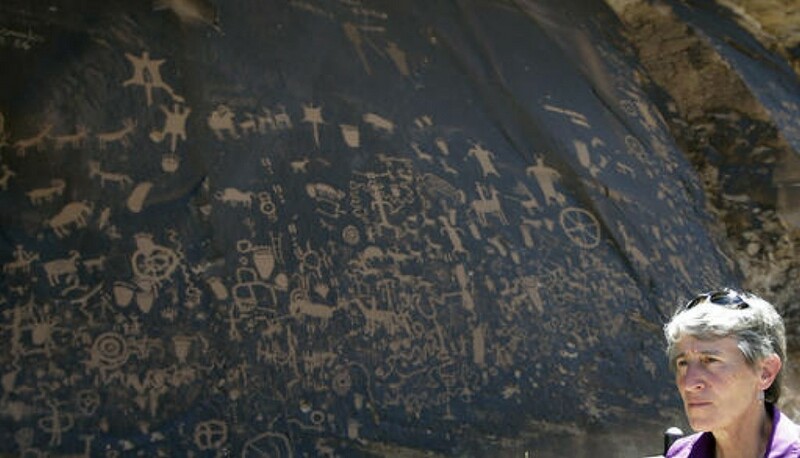 “Today, I am designating two new national monuments in the desert landscapes of southeastern Utah and southern Nevada to protect some of our country’s most important cultural treasures, including abundant rock art, archeological sites, and lands considered sacred by Native American tribes,” Obama said in a statement. A monument designation was originally proposed by the Bears Ears Inter-Tribal Coalition in 2015 and was originally nearly 2 million acres. They wanted additional protections for the lands while also preserving traditional uses. The coalition’s efforts were supported by environmental advocacy groups such as the Southern Utah Wilderness Alliance. “We applaud the President’s decision and congratulate the Bears Ears Inter-Tribal Coalition for this historic protection of their ancestral homeland,” said Scott Groene, SUWA’s executive director. Navajo Nation President Russell Begaye called it an exciting day for his tribe and people of all cultures. 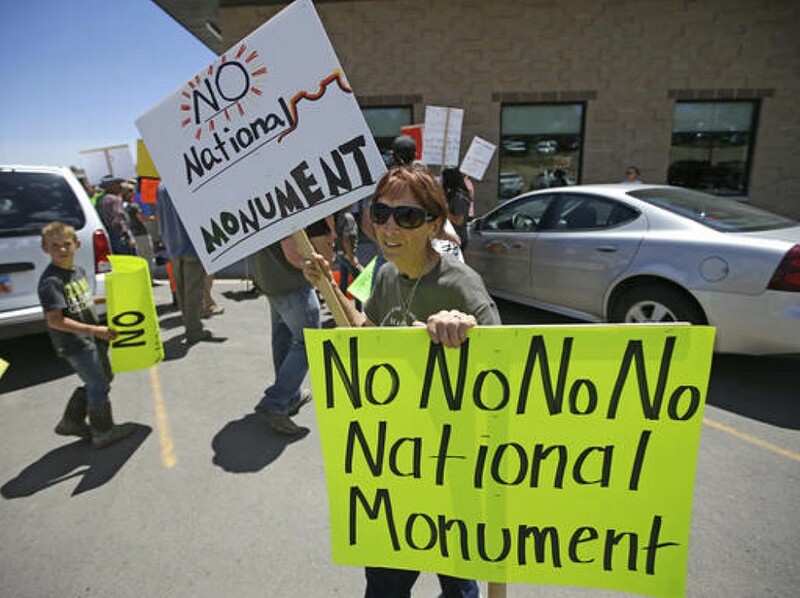 Opponents of the monument have said it will greatly hinder local access and usage of the area and have negative impacts on the people who live in the area of the new monument. 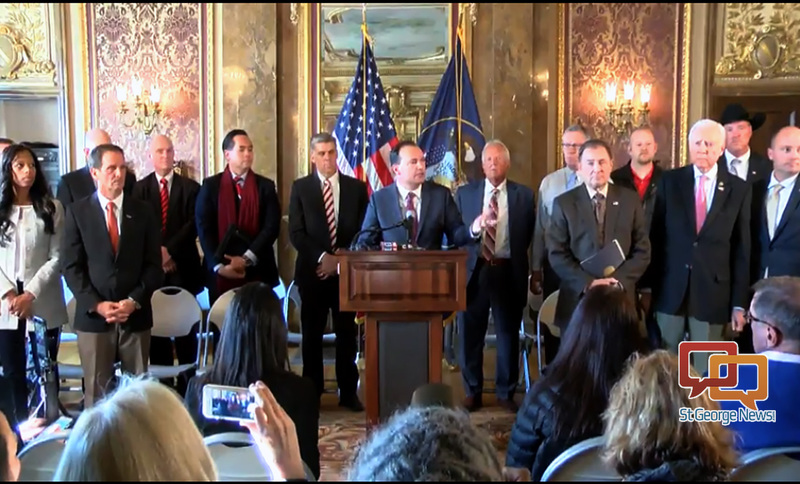 Earlier this month, elected officials ranging from Utah’s congressional delegation, down through state government to the San Juan County Commission, stood together to ask the president not to create the monument. If he did, they said they would pursue every means necessary to dismantle and undo the new monument. Their condemnation of the monument and vows to undo it continued in the wake of the president’s announcement. In other words, if Stewart can cut funding to the new monument, he will. Sen. Mike Lee, who has been very vocal about his opposition to the monument, has said he will work with the incoming administration of Donald Trump to find ways to undo it. Lee and others have also said they may seek a way to curtail use of the Antiques Act by future presidents in relation to creating new monuments. Today San Juan County mourns after President Barack Obama gave into pressure from extreme environmental groups, out-of-state tribal leaders, and corporate interests by designating the 1.35 million-acre Bears Ears National Monument. The push for a monument did not originate from those most impacted by the decision; instead, it came from outside special interest groups who used deception and collusion to drown out local voices. San Juan County has only to look to our neighbors in Garfield and Kane counties to see the devastating consequences this process produces – the destruction of archeological resources and cultural resources, the closure of public schools and a shattered economy. Our families, our local tribes, and our community deserve better – they deserve to be heard and respected. As elected representatives of San Juan County, we call on Congress and the incoming president to heed the voices of locals who care for and love our county’s public lands the most by rescinding the monument designation. Rep. Jason Chaffetz, R-Utah, also voiced his frustration. In a statement Wednesday, he said Utah already had a comprehensive solution to help protect the Bears Ears region – that being Rep. Rob Bishop’s, R-Utah, proposed Public Lands Initiative legislation. Chaffetz went on to say that the Bears Ears Inter-Tribal Coalition that supported the monument will discover they have been misled. The 1.35 million-acre Bears Ears National Monument protects one of the richest cultural landscapes in the United States, with thousands of archaeological sites and areas of spiritual significance. These lands are sacred to many Native American tribes today who use them for ceremonies, collecting medicinal and edible plants, and gathering materials for crafting baskets and footwear. To ensure that management decisions affecting the monument reflect tribal expertise and traditional and historical knowledge, the Presidential proclamation establishes a Bears Ears Commission, comprised of tribal representatives, to provide guidance and recommendations on management of the monument. Congressmen Rob Bishop and Jason Chaffetz’s Utah Public Lands Initiative (H.R. 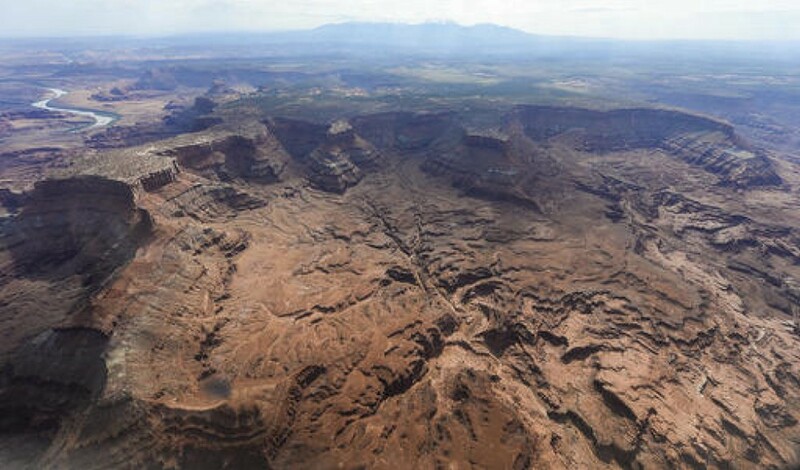 5780) proposed to conserve 1.39 million acres (1.28 million Federal acres) in mostly the same area as the Bears Ears National Monument by designating two new National Conservation Areas and a Wilderness, which would prohibit future mining and oil and gas activities in these areas. Their legislation also proposed a Tribal Commission to help inform management of the area and created additional opportunities for interested stakeholders to offer input, similar to what today’s action has established. These designations build on the framework developed by the Congressmen to both protect and allow for continued use and enjoyment of the area by residents and visitors. While Utah Republicans were displeased, leading Utah Democrats praised the designation. Retiring Nevada Democratic U.S. Sen. Harry Reid has pushed for protections at Gold Butte, a remote area northeast of Lake Mead, but GOP members of the state’s congressional delegation have been vocal opponents. Republican Nevada Sen. Dean Heller expressed disappointment, saying land designations should be done by Congress and not by presidential decree. Associated Press writers Brady Combs, Michelle L. Price and Michelle Rindels contributed to this story. Better off a National Monument than allow special interests in Utah to get their paws on it and commercialize it. No Motel 6’es… we’ll leave the light off. Utah has maintained that land beautifully for hundreds of years. They don’t need the Fed and actually what the Fed is doing is illegal. Read it and weep. These law makers need to quit land and resources from the states and selling them to Russia like Hillary did with the Hammond Ranch in Oregon. Selling 20% of our uranium to Russia and intern getting millions donated to the Clinton foundation. Here is the law… http://bundyranch.blogspot.com/2015/12/the-constitution-of-united-states-on.html. They may own the ten square miles of Washington DC, for ports and forts and other buildings need for running the government, and they must get permission by legislation from the state and pay for it a reasonable amount. They have been stealing land for a very long time and it needs to stop. “Utah has maintained that land beautifully for hundreds of years”?? That’s amusing since Utah has only existed since 1896 and since all the land in question has belonged to the federal government since 1848 and was never maintained by the state of Utah. In fact, the state of Utah only exists because the federal government has the power to own vast tracts of land. Your understanding of the Constitution, the law and history is appalling. Your ability to write in the English language is equally appalling. Aww, poor little whiny mormon law makers will be whining for decades just like last time. We should build a special crying room for them–church funded. Do you have any respect for the laws of this land. The President is stealing land and it is illegal… http://bundyranch.blogspot.com/2015/12/the-constitution-of-united-states-on.html. And your religious bigotry is disgraceful. This whole nation was founded on being able to practice our religions without interference, peaceably. I am not a Mormon, but will stand for their rights everyday. Nope, what’s disgraceful is the never ending lies and hypocrisy from Utah’s mormon-republican politicians. They will cry because that’s a whole lot of acreage that they can’t use to slime their way into more gas/oil/mining kickbacks. Poor little babies. I hope someday their greed comes back to bite them hard–karma and all. Nope what’s disgraceful is you and your racist and bigotry towards other people because of their religious preference. Yes, we have respect for the law, and that’s why we know that you are completely ignorant about this entire issue. If you took even a few minutes to research this, you would realize that everything stated on the bundyranch site is completely wrong. First of all, the US Government can’t afford to own and manage anything more. We are broke. Second, big government in Washington never manages anything well. National Parks are very poorly managed because of lack of funds. Finally, why should the Federal Government own and mismanage a big chunk of Utah? Other states have no federally owned lands. If you’re this butthurt about federal lands maybe you should move to another state then? Uhm…looked at a U.S. map lately? Or do you just make Shinola up? How about a follow-up article on how happy the PEOPLE are now that the developers have been stymied. I bet the Bundy’s just love this.